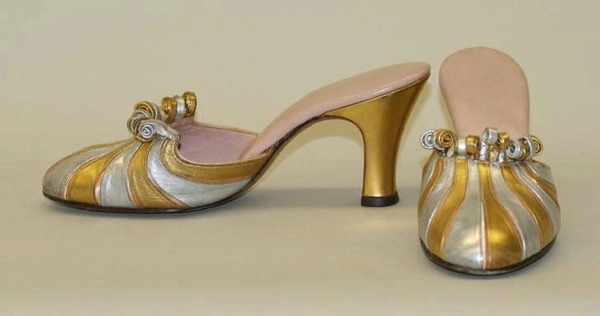 Questi sandali conservati al Metropolitan Museum Of Art non sono marcati e datati "circa 1942". Il brevetto qui sotto fa risalire la datazione al 1934 e permette di identificare in André Perugia il suo creatore. 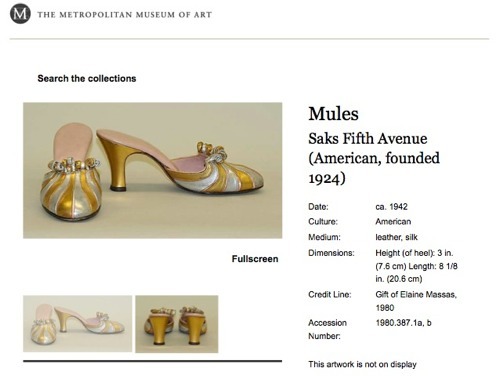 Mules preserved at the Metropolitan Museum Of Art marked "Saks Fifth Avenue" and dated "ca. 1942". The patent below corrects the date (1934) and identifies André Perugia as its creator. 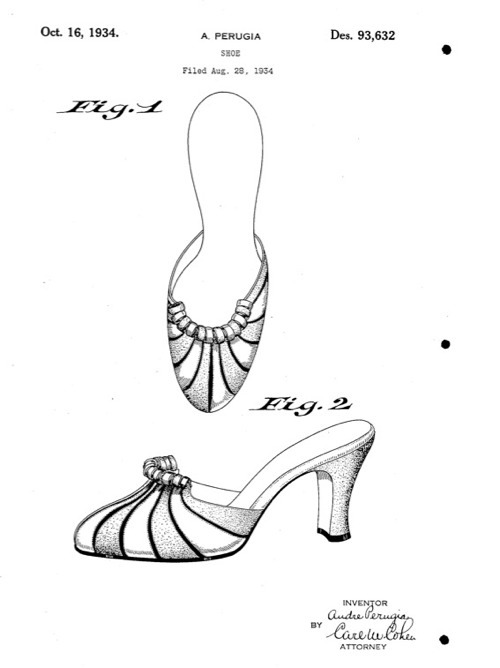 Patent for a "new, original ornamental design for a shoe"
A partire dal 1927, André Perugia ha esportato i propri interessi a New York per iniziare da subito una proficua collaborazione con Saks Fith Avenue e Israel Miller. Starting since 1927, André Perugia has established his business in New York to immediately begin a fruitful collaboration with both Saks Fifth Avenue and Israel Miller. We informed the MET curators about our findings and they acknowledged them changing the credits. Which is nice. However, in this particular case ONLY the date was amended while Perugia's name didn't make the cut. Weird, but it's their call.